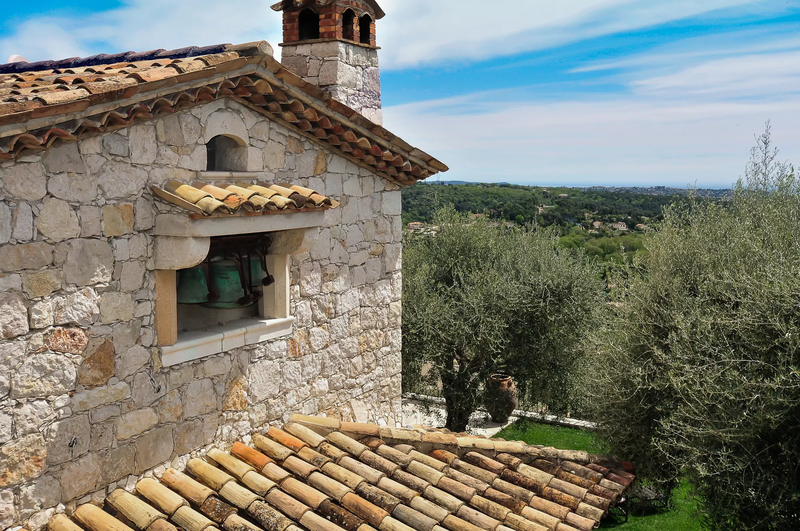 Le Manoir de Vence is an imposing, stone-built Vence villa, perched 360 metres above sea level, with sweeping 180 degree views across the surrounding countryside as far as the Italian border and across the Bay of Cannes. 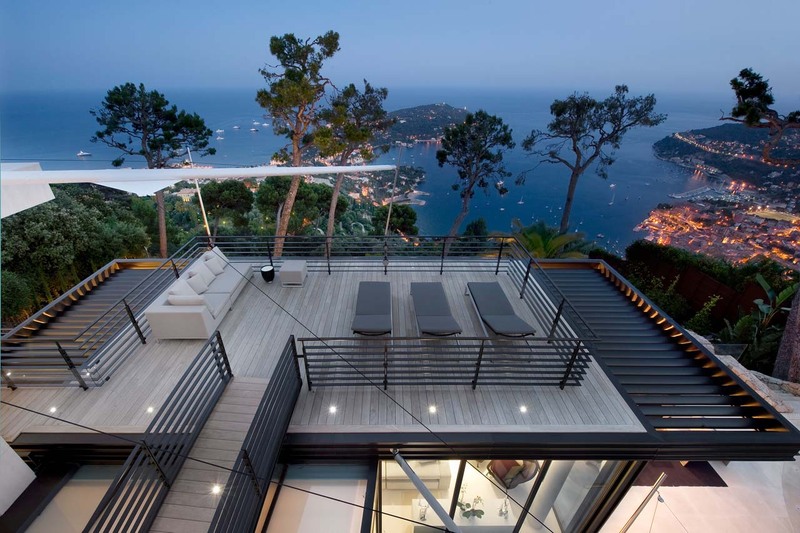 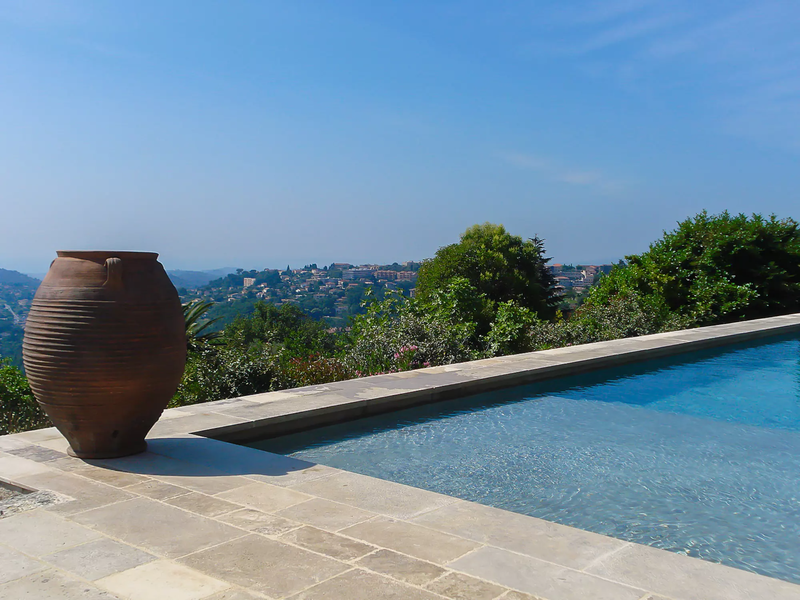 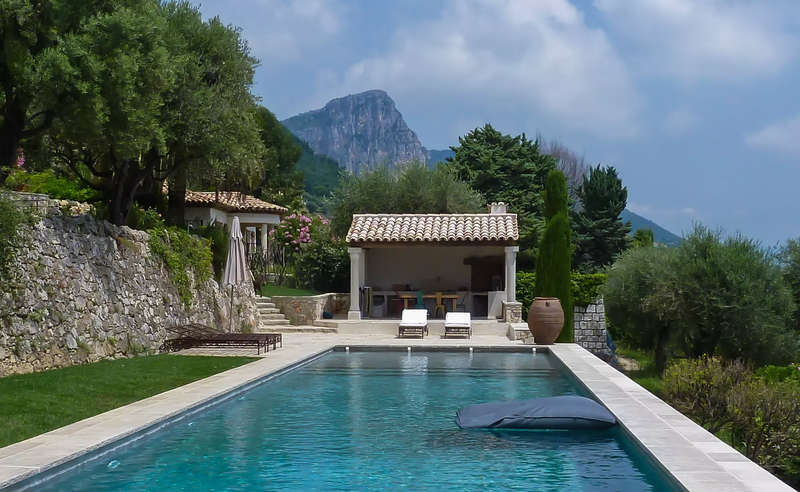 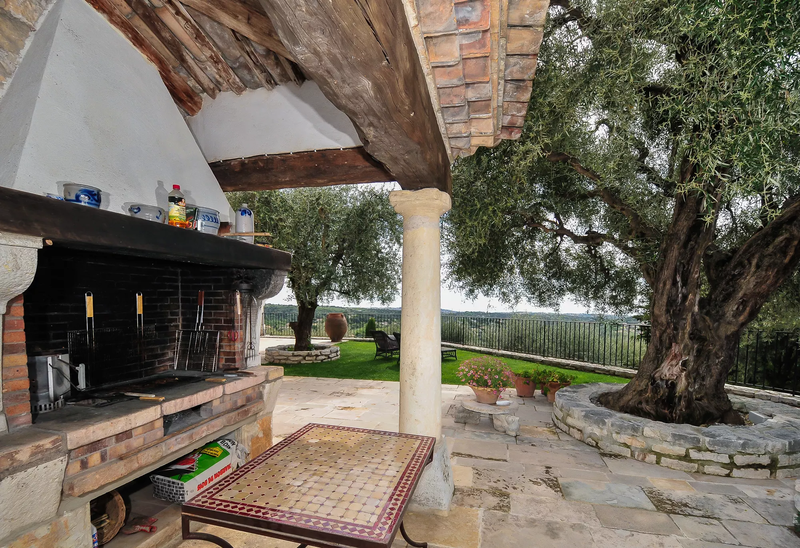 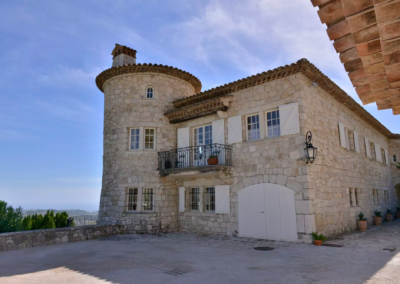 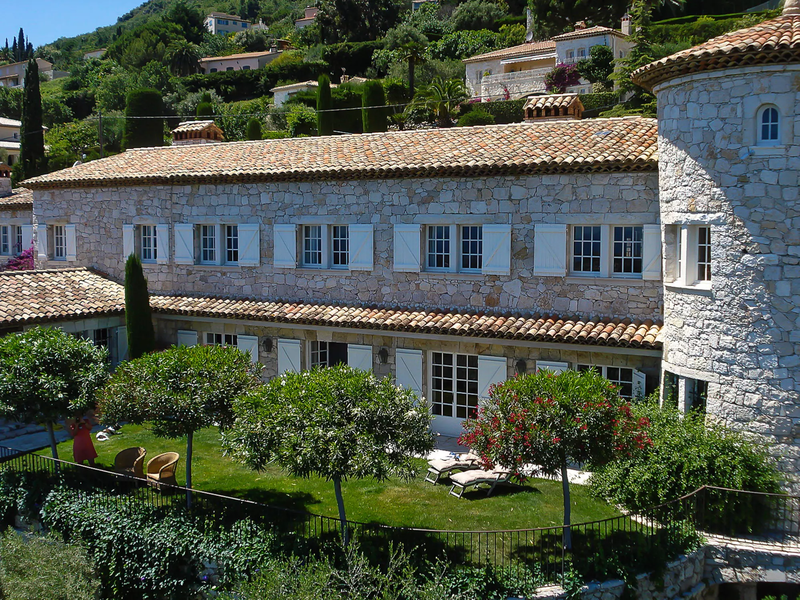 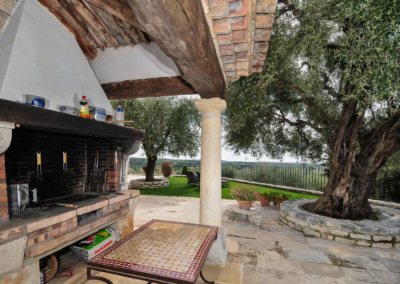 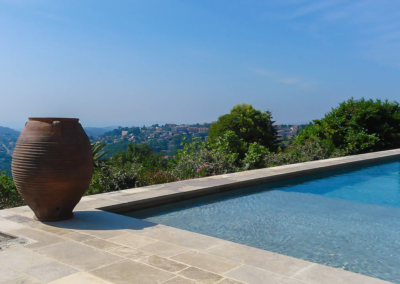 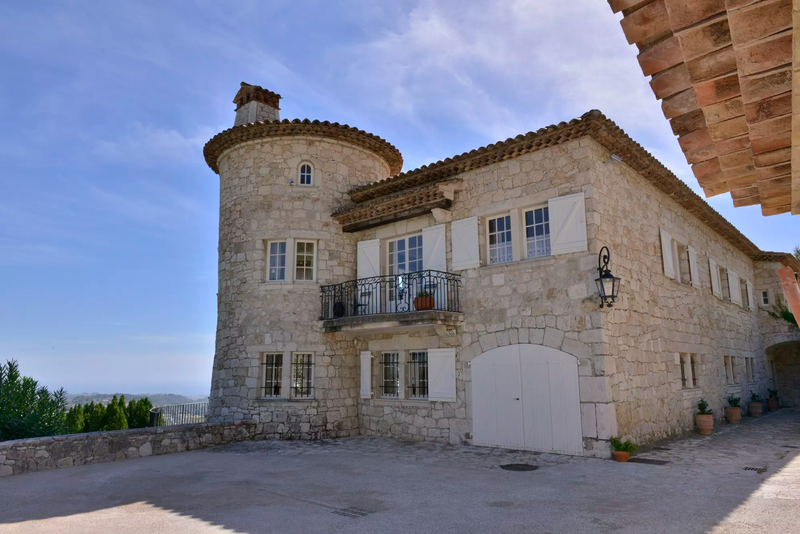 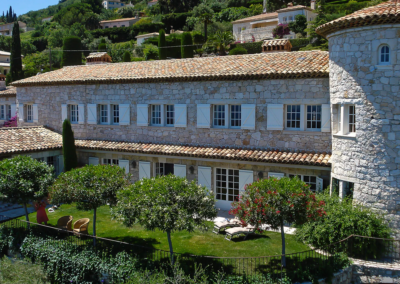 This is a stunning villa in an equally stunning setting, just 1 mile from the centre of Vence. 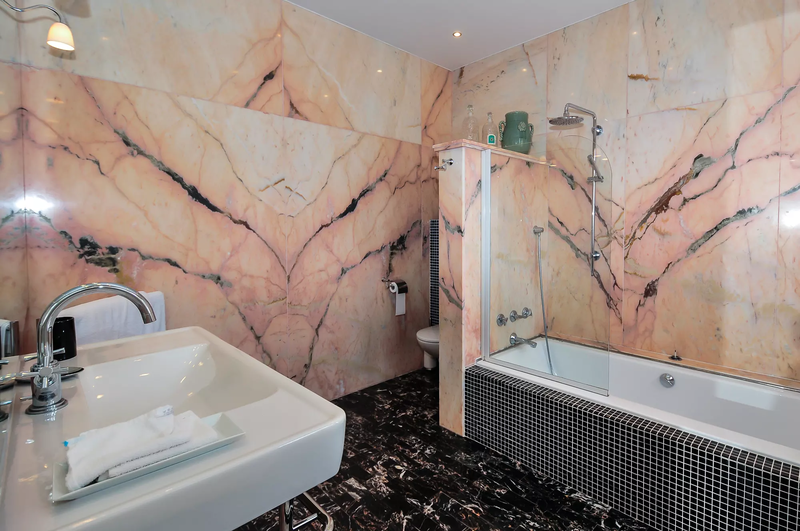 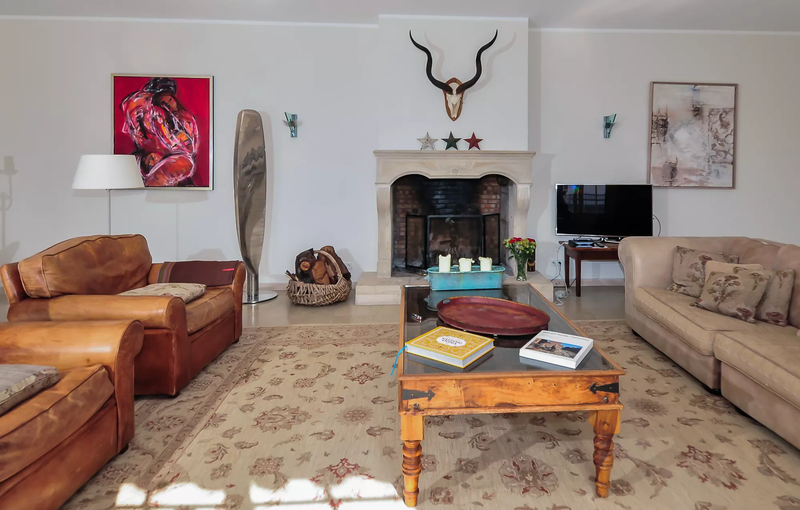 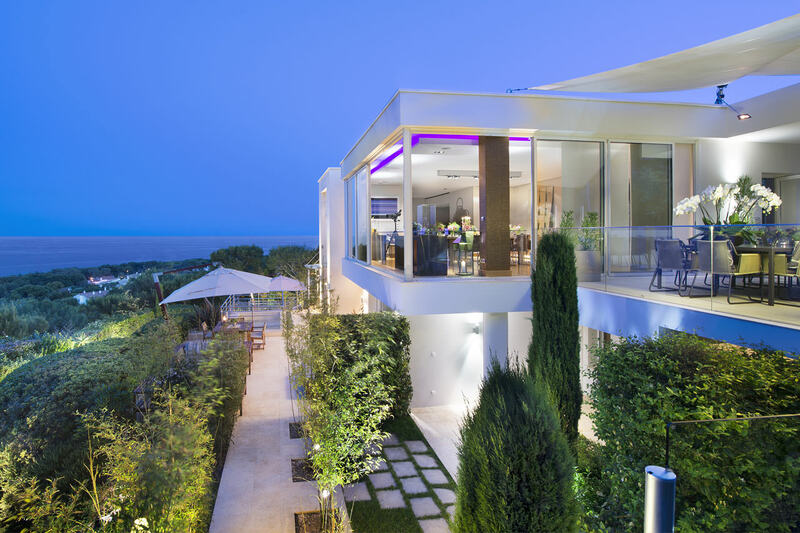 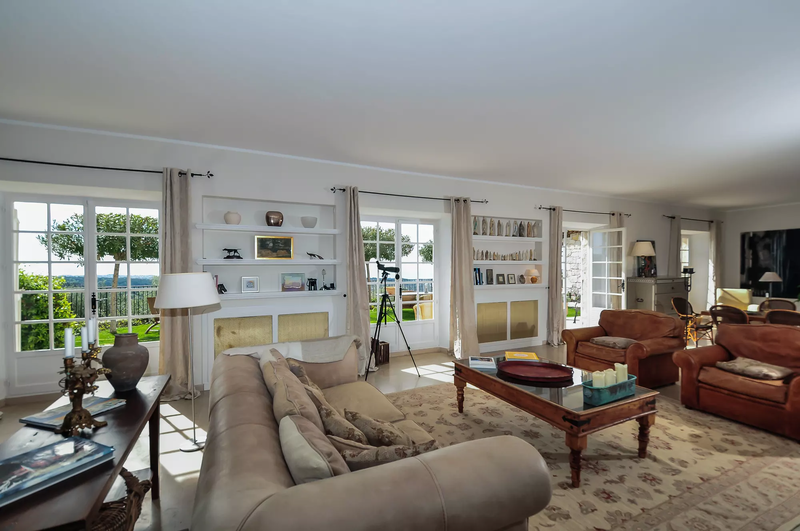 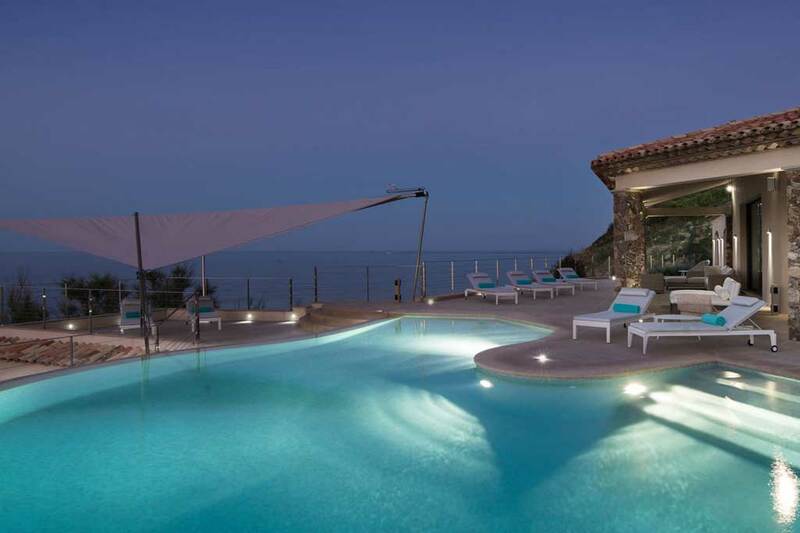 This luxury villa has been beautifully restored and elegantly furnished, offering a fabulous place to holiday in an idyllic Riviera setting with inspiring sea views and rocky mountain backdrop. 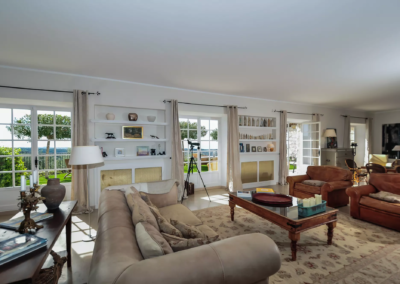 You have use of a private tennis court as well as your own boules pitch and heated salt-water pool with a well equipped pool house. 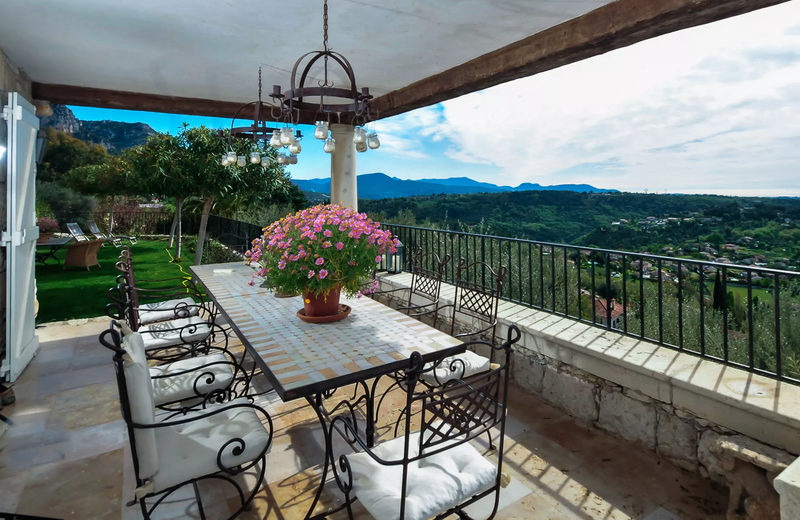 Large terraces with shady pergolas are ideally positioned to take in the vista over a relaxing glass of wine or a leisurely meal. 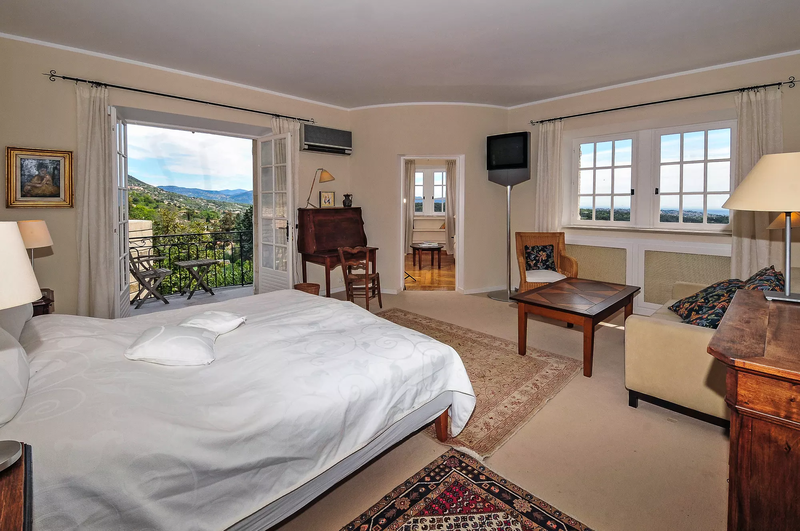 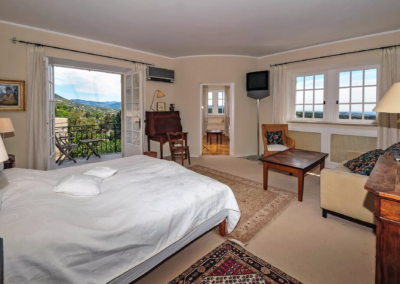 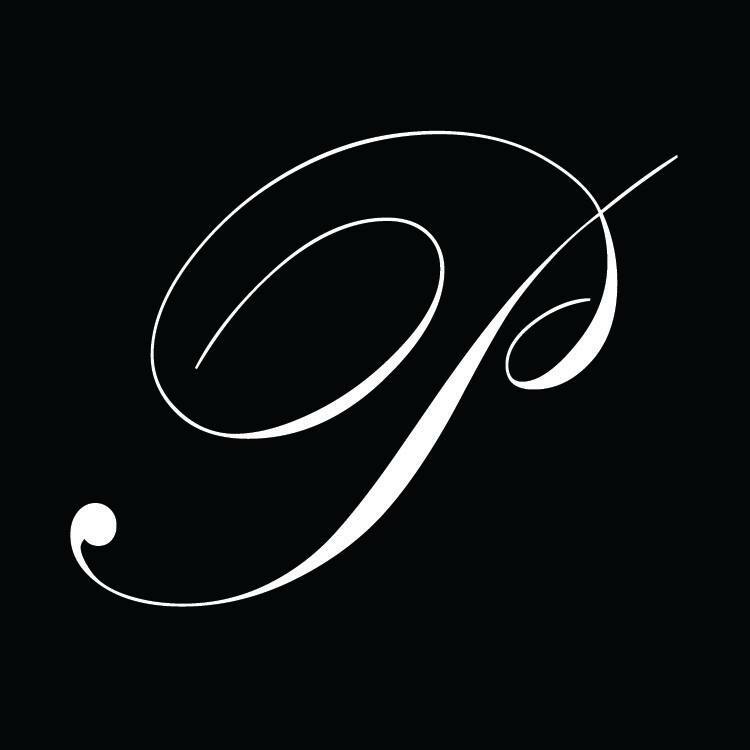 Once you’ve arrived, we suspect you will never want to leave! 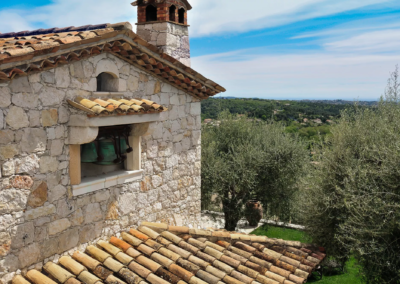 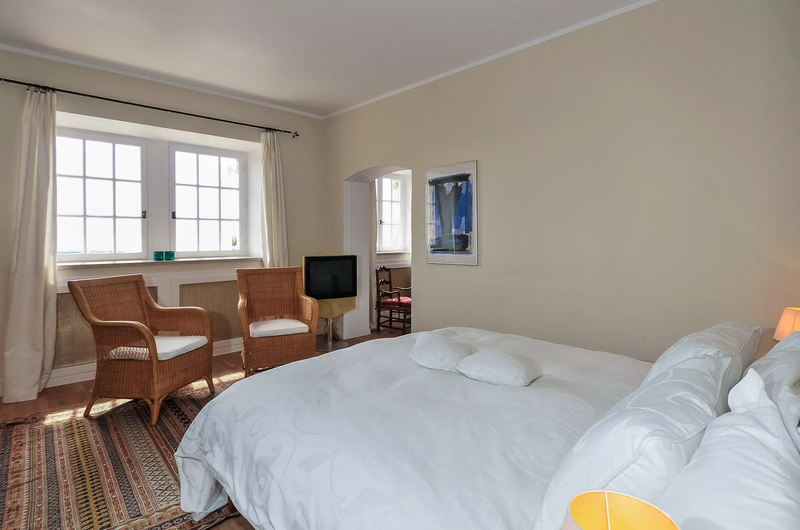 The old walled town of Vence is full of interesting art galleries, craft shops and cafes surrounding a classic French square and interesting church and the Chateau du Domaine St Martin restaurant boasts 5 Michelin stars. 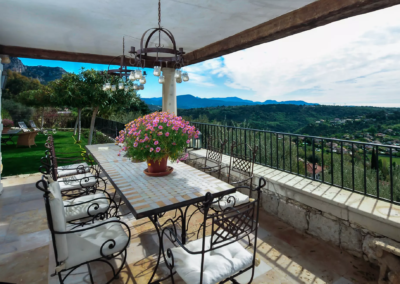 Nearby St Paul de Vence has small cobbled streets with tempting artisan shops and is home to renowned restaurant La Colombe d’ Or. 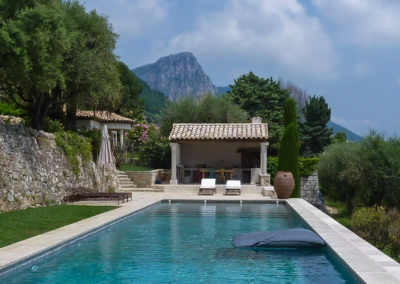 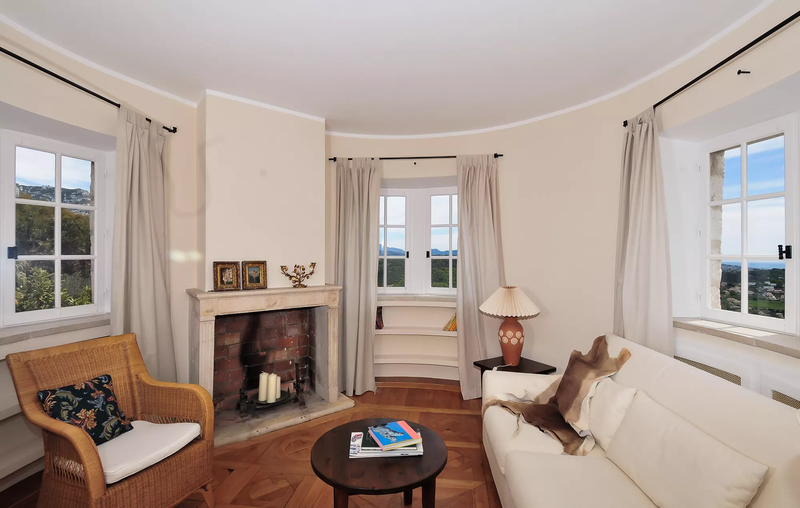 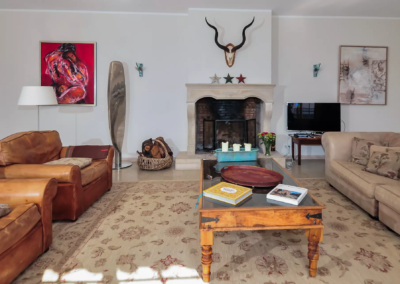 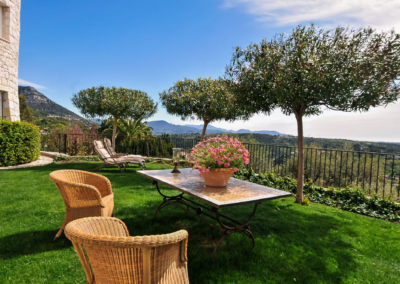 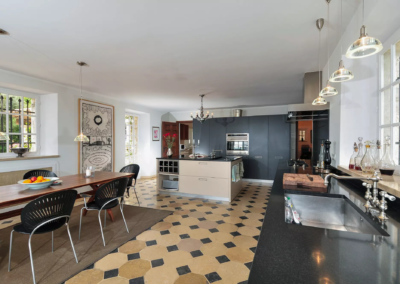 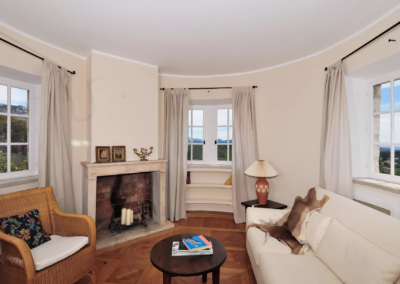 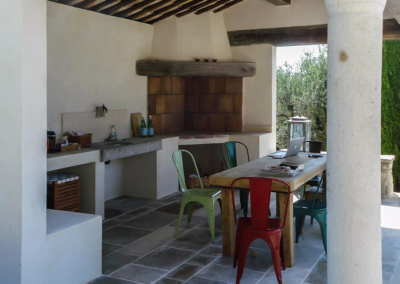 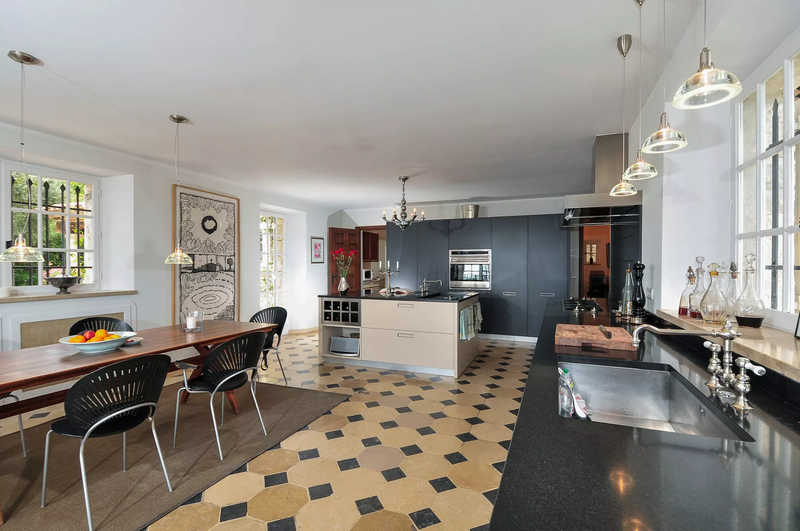 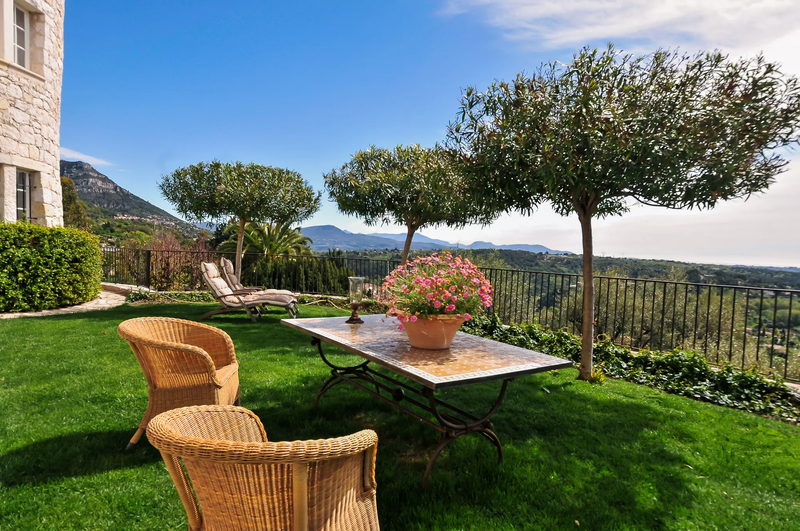 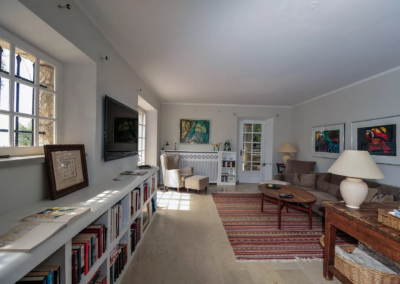 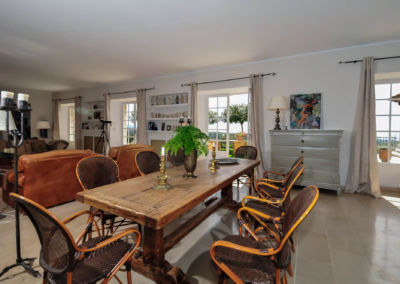 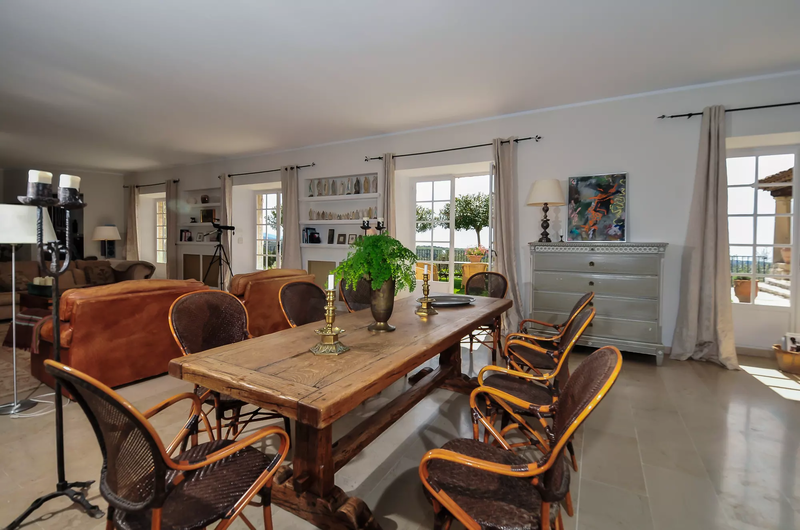 The beaches at Villeneuve Loubet and Cagnes-sur-Mer are a short distance from this Vence villa rental, and there are lots of activities for children along the coast between Antibes and Biot, both places that the adults will enjoy visiting too. 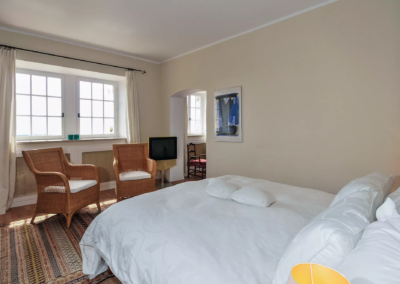 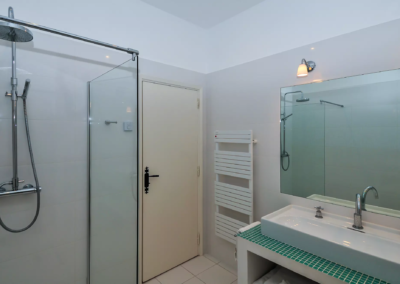 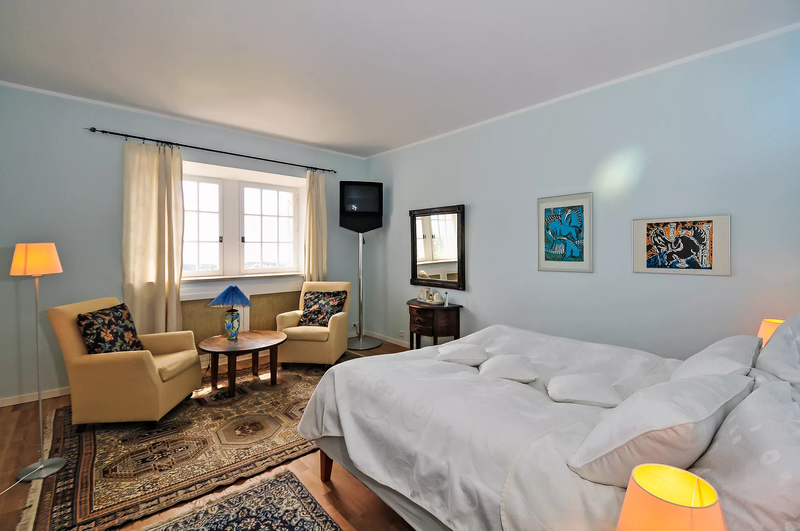 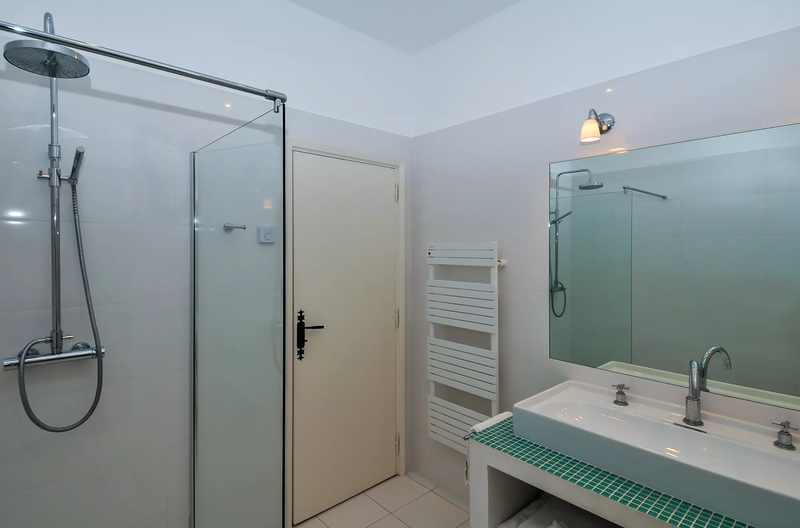 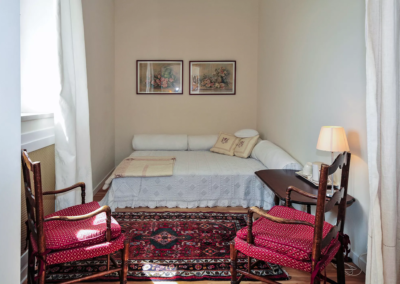 Family suite: open plan double bedroom (1.80m or 2 x 0.90m), (TV), with archway to children’s bedroom (2 x 0.80m), ensuite shower room, WC. 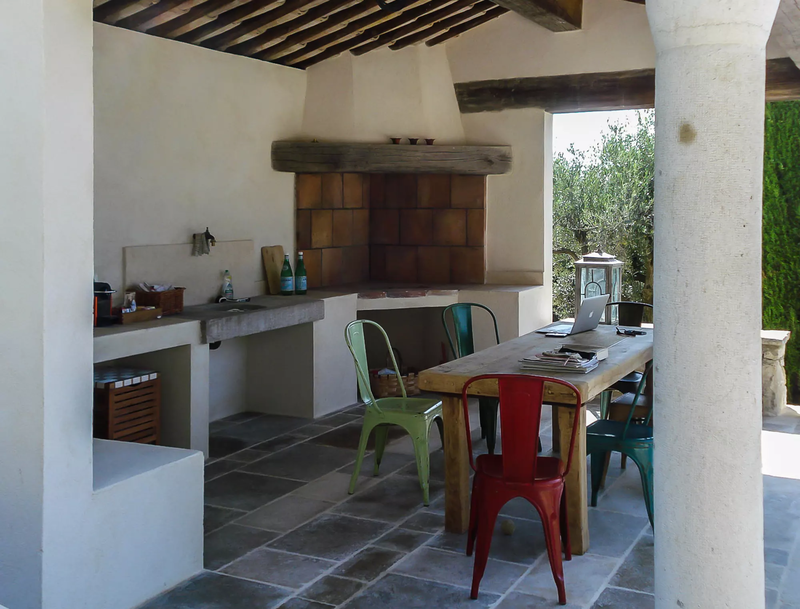 The cozy, private atmosphere and the outstanding outdoor facilities.